"Box 1 number 5 is an approximation of the 500 block of 18th Street North in Birmingham from the 1940s. Obtained at the archives, the archive section of the Birmingham Public Library, which received many many pictures from the Jefferson County tax assessor’s files. Everything from 1977 back was transferred to the Birmingham archives. This was obtained sometime in the 1990s. The purpose of obtaining it was to try and picture the location, which was the block in which WENN was housed before their building at 15th and 5th was constructed which was constructed in 1961.. 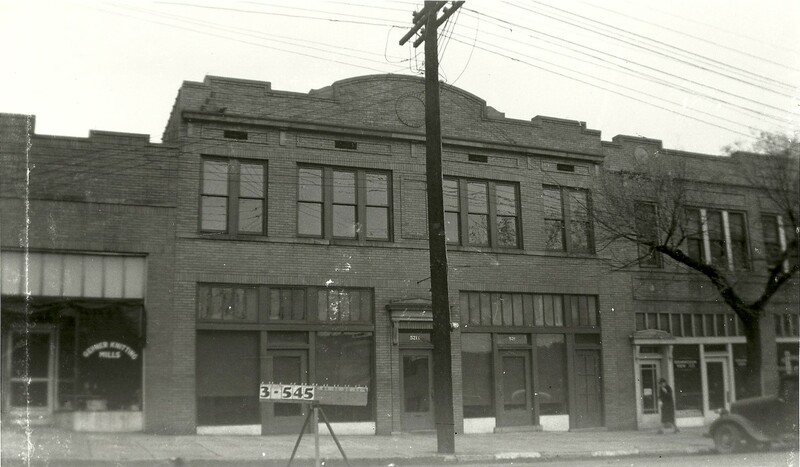 They were located in a storefront adjacent to the old main post office on 18th Street. This information came from an interview with Erskine Fausch who said that they had used blankets to separate rooms back then. This is while they were waiting on their building on 15th and 5th to be constructed. We’re not sure that this building in this picture reflects the building they were in." 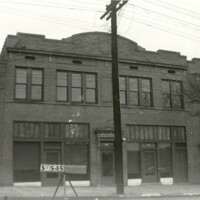 “500 block, 18th Street North, Birmingham, 1940s,” The Birmingham Black Radio Museum, accessed April 21, 2019, http://thebbrm.org/item/115.